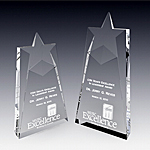 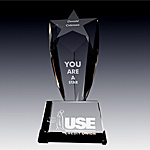 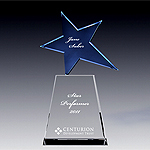 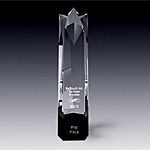 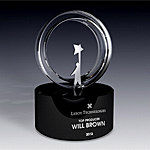 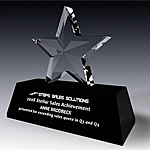 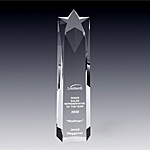 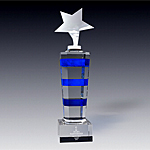 We offer a plethora of exclusive crystal awards and trophies that feature star design. 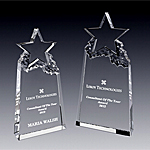 Celebrate top achievers and performers with our original collection of star awards. 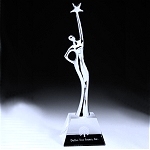 Crystal star awards and trophies serve an important recognition function by celebrating the top achievers within organizations. 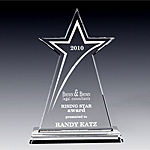 Our rising star award is dedicated to individuals who demonstrate extraordinary talent and drive to succeed. 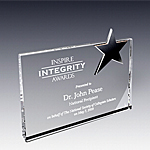 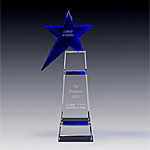 Inspiration star award features a combination of blue and clear crystal and celebrates achievers that inspire others by example. 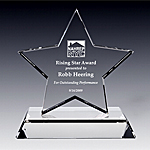 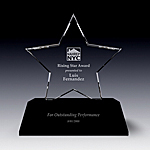 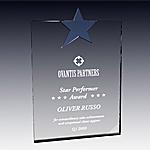 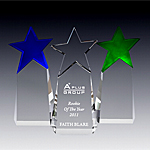 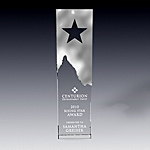 Paramount Star award is our newest design and it is offered in three color combinations blue, green and clear crystal. 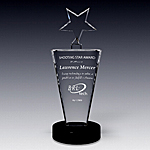 Our best selling star award series are super star tower trophy, supreme star tower, and meteor award. 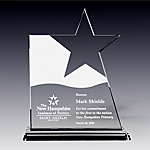 Using a combination of black and clear optic crystal in the following awards: galaxy star award, aurora star, star triumph award, and brilliance star award; creates a striking effect of contrast. 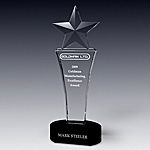 If you are looking for a really tall award that will impress with its style and its height then consider our soaring super star award and stellar tower trophy. 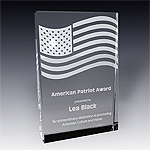 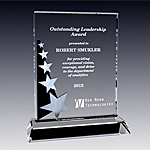 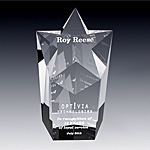 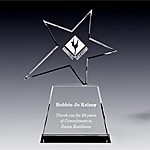 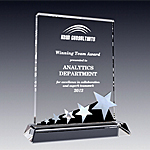 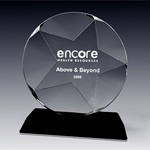 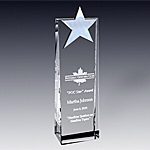 All of our crystal awards and trophies are personalized with your choice of text and logo combination.